Ideal for showing and required in many show rings, this competition pad by Toklat is made from 100% polyester pile fabric that is specifically designed for saddle pads. I provides excellent protection and durability, while allowing for close leg contact at the same time. This high quality pad will retain its look and performance through heavy use and washings. 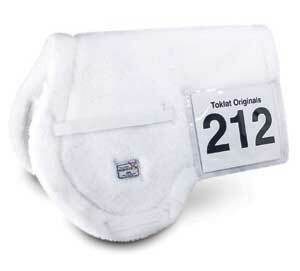 The removable clear number pouch is held on by velcro and makes it easy to the judge to view your number. 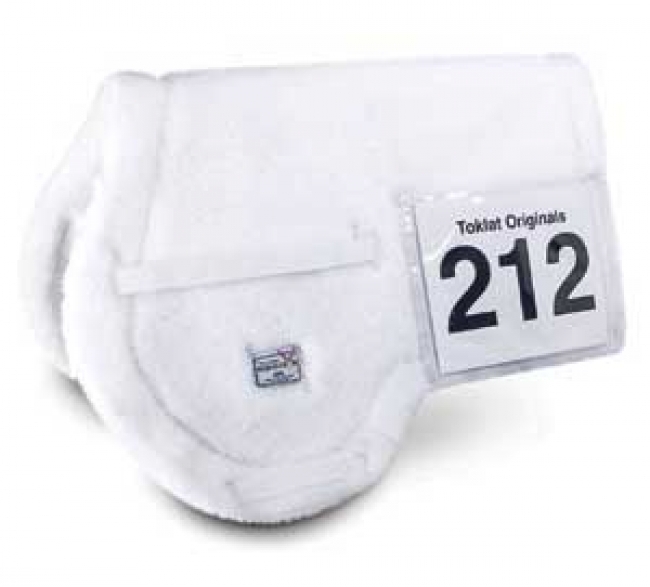 Pair this pad up with Toklat's competition number packets which we also carry for the ultimate show ring look. Velcro removable clear number pouches. Machine washable and dryer safe (remove plastic prior to washing).